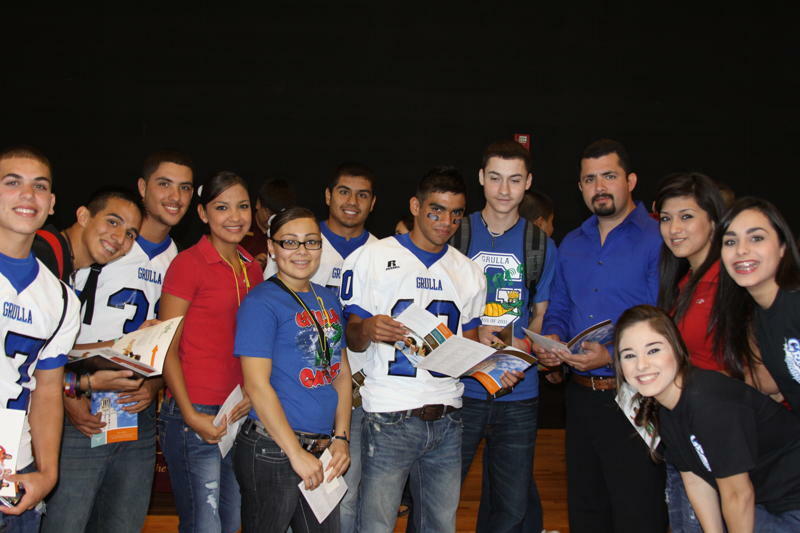 Grulla High School College and Career Resource Center sponsored a Senior College Day recently. High school students were invited to participate and assess information on college application requirements and financial assistance. Representatives from various colleges were on hand and students were able to speak to them on a one to one basis over career and college choices. Mr. Rick Solis - College and Career Advisor and his staff work diligently to provide assistance to all students and their parents in choosing career goals. Grulla High School administration and staff would like to thank all of the colleges and universities for their dedication to the students. Pictured: Mr. Rick Solis surrounded by students obtaining information. (RGCCISD Photo). Download the latest free versions of popular games.